Last month I wrote a post for the wonderful The-Thrift blog, which promotes shopping at Barnardo’s charity shops. 1) It’s something I haven’t grown out of. I first started second-hand shopping in my early teens when charity stores circa 1985 were very different to the ones you see now. Ironically, although these places were frowned upon they were stocked with amazing pieces from the ’50s and ’60s that would now be classed as vintage. Charity Shop find from early 1990s. 2) It’s my own personal style and no one will have the same outfit as me. I have to confess this was the reason I began charity shopping many years ago. As a student I wanted to look individual. I wanted to wear the shirt, jacket or shorts that no one else had. I guess this is a habit that has stuck with me. 3) It’s cheap. As a teenager of the 1980s I imagined my future self to be some highly driven career woman buying all my clothes from designer shops – or M&S at least. When I worked full time in my twenties I did buy my work clothes from High Street stores. However since having children and taking on a range of part time and freelance work, I have less of a budget, or indeed a need, for buying first hand workwear. As a result I can stock my casual wardrobe with low price second-hand clothes. 4) It encourages re-use, and donating to good causes. Long before we knew about the three Rs charity shops were there to enable us to buy re-used clothing. 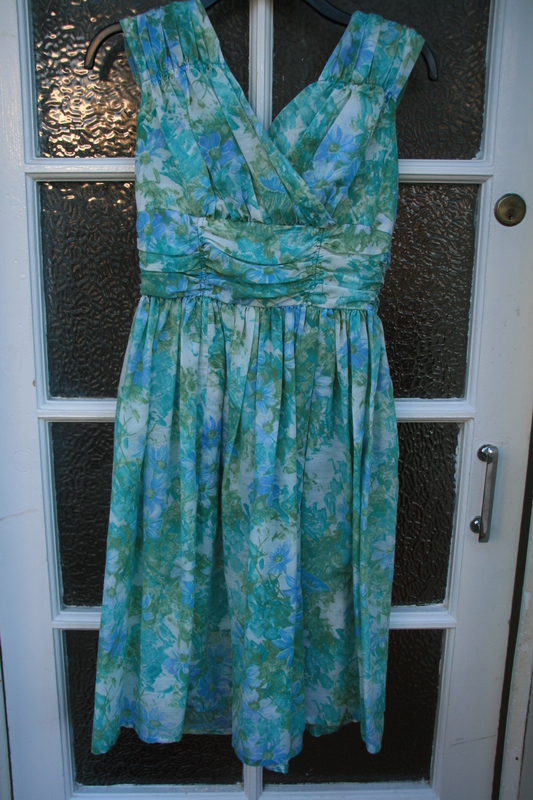 I truly believe that by purchasing second-hand we are extending the life of a garment. We are ensuring the resources that are used to make, transport and package it are stretched for just a little longer. Our hard earned cash is also going back into the charity pot, rather than into the hands of an anonymous corporation. 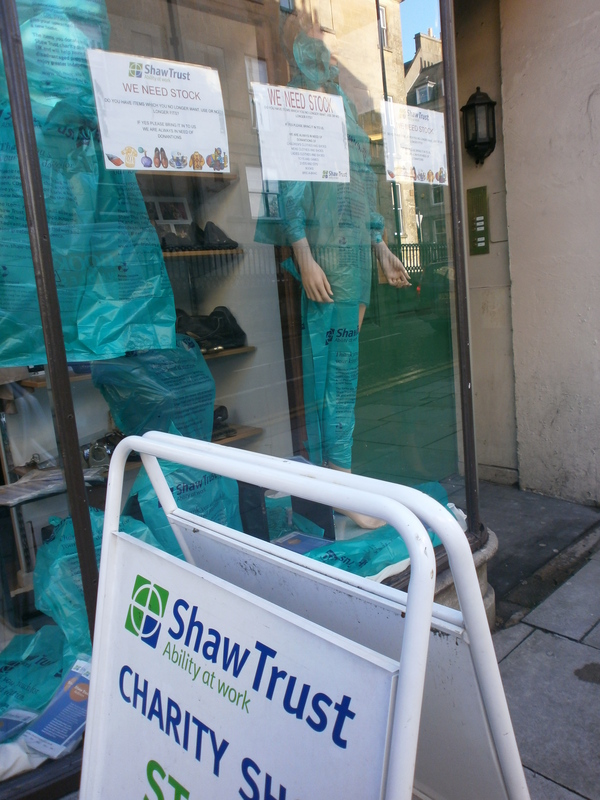 But in order to keep the cycle going we must remember to donate our unwanted clothing to charity shops too. 5) ) I’m a ‘bargain hunter’ . This comes down to the fact that I love browsing and getting a good bargain! 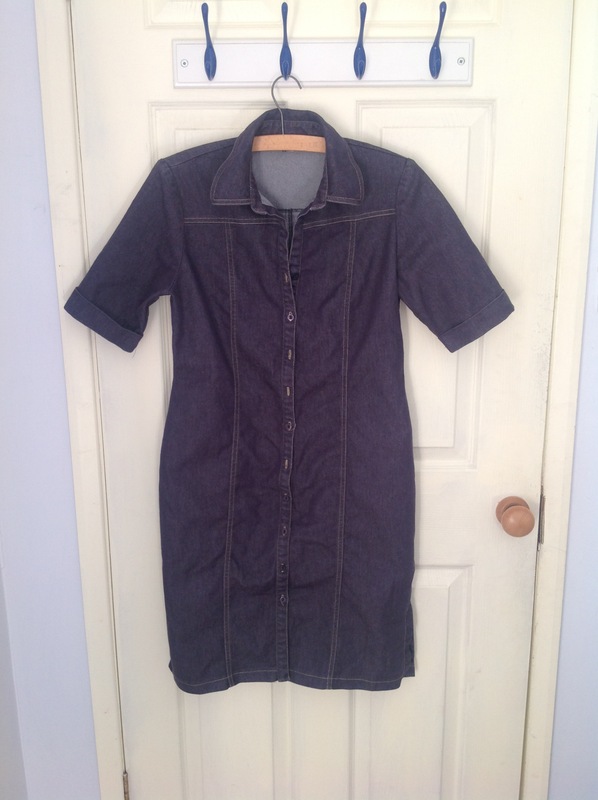 Last month I bought a brilliant denim shirt dress for a fiver from the British Heart Foundation shop. I’d been coveting a similar one from Fat Face for £45!